CHECK OUT ALL OF OUR FAMILY, FUN TOURNAMENTS! 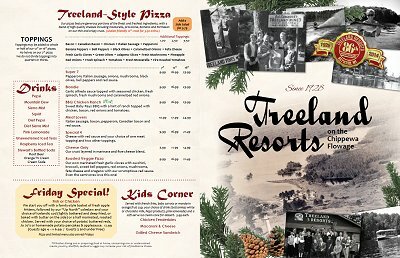 Treeland’s and Pat’s Landing are the host to many events and fishing contests throughout the year. Whether it’s the high-stakes tournament fishing, or a friendly competition filled with back and forth boat banter – there’s something for everyone! 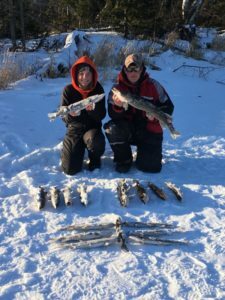 Is ice fishing more your thing? Be sure to check out Pat’s Landing annual Tipper Tourney in January! In May we host our annual Treeland Challenge – a Catch-n-Release Walleye and Large-mouth Bass fishing tournament! Keep checking our website, as we will be posting the entry form for this years Treeland Challenge in February! Entries limited to the 1st 300. Fun for all ages! Walleye and Bass not your thing? How about checking out some of the other tournaments in and around the Chippewa Flowage! Click Here for Info & Entry Form!